Search engine marketing is the practice of marketing a business using ads that appear in search results. You as the advertiser bid on certain keywords that search engine users such as Google and Bing would search for when looking to make a purchase or learn more about a product or service. You are given the opportunity to show your ads and siphon off a portion of these high intention clicks for your own benefit. Large corporations will dump their advertising budgets into SEM. In 2017, Google’s ad revenue amounted to almost 95.4 billion US dollars. In the most recent fiscal period, advertising revenue through Google Sites accounted for 70.9 percent of the company’s revenues. 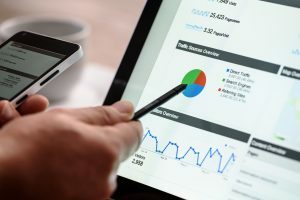 Instead of relying solely on organic SEO to try and capture your target audience, broadening your reach through paid promotional methods could be precisely what could help you grow your reach as well as your business. Why not invest money into growing your sales online? If you are inexperienced with online sales, you can hire an expert that knows the ins and outs of media buying, and they can help you develop an effective marketing strategy. It is not unheard of to gain a really good return on your ad spend budget. Search engine marketing is usually referred to as PPC (pay per click) marketing. You can pay to have your ads shown to the most relevant users by bidding on relevant keywords. You need to have a good idea of how much you are willing to invest in your budget for your campaigns. What is your campaign objective? You have a lot of creative control when it comes to setting up these campaigns as well as your sales funnel. What do you want the user to do once they click on your ad? Will you be capturing leads, trying to sell them a product, or try and qualify them for a larger sale? It is all up to you. Whatever your goal, running paid advertising campaigns could be very profitable for your business. One of the most popular options for starting a paid advertising campaign would be Google Display Network or GDN for short. Utilizing Google ad words could be a great place to get started. We will cover some basic fundamentals to understand if you want to go down this route. Google Adwords is the largest display network in the world. With a wide reach and millions of websites that are available to advertise on, as well as intelligent tools available to monitor and track results, Google Adwords is impressive. Unlike other advertising platforms, you pay on a CPC basis (cost per click) not a CPM basis (cost per impressions). So if nobody clicks, you don’t have to pay. Another benefit is that you might still be getting lots of eyeballs on your ads which is great for brand awareness. Google Ad Words is split into two networks, the Search Network and the Display Network. When advertising on the Search Network, businesses place text ads in the search engine results. On the Display Network, businesses instead place display ads on a huge network of sites across the internet. Google gives you a lot of power as an advertiser. Ad words works as an auction based platform where your ad quality score + your bid determines your ad position. Your daily budget is simply how much you are willing to spend each day. Your bid is how much you are willing to spend per click. It is Google’s job to make money so they will award showing the ad of the business that is willing to pay the highest bid for a certain keyword. If others are bidding less than you for a keyword, you will win the auction and might not end up having to pay your maximum bid. The next thing to understand is that your quality score and relevancy effectively determines how good your offer is for someone’s search query. Before you go and create your first advertising campaign, it is important to decide where you want to run your campaigns. It is best practice to decide to choose whether you want your campaign to run on Search or Display. Break them out into separate network specific campaigns. If you try to combine campaigns, this can cause problems with your PPC account. Google search campaigns are limited to the confines of the Google search results page. Running ads on Search is the most common and well known form of PPC marketing. A simple text ad the shows up in SERPS (search engine results). This is very effective in that you are targeting an active searcher who is trying to find something. Display Campaigns are able to be shown on other sites around the internet. You can show your ads on specific chosen websites or choose a group of websites that fall within a category. People that you target on GDN might not be in the mood to buy right now. Your ads need to stand out and grab the user’s attention. There is plenty of ad space available on GDN, which makes it a great place to improve brand awareness. You need to be able to know how well your campaign is performing when it comes to clicks, conversions, and sales. This is just as simple as installing a bit of HTML code on your website. With this installed, you will be able to track conversions and sales back to your GA dashboard. Create a keyword list that is relevant to your customers. Choose the language and geographic locations. You can target country, region or individual cities. Device type targeting – what are the devices you want to target–mobile, tablet, or desktop users? Remarketing lists for search ads – You can bid on keywords that you don’t normally bid on just for people who have recently visited your site or have converted on your site in the past. This can help you increase your sales. For example, you could bid on more broad keywords only for people who have previously purchased from your site. It is a misconception that Google only offers one ad type. Here is a selection of the different types of ads that you are able to choose from. Text ads – GDN allows you to run text ads across their whole network. A simple headline and two lines of text. Image ads – Image that fills the ad block–you can use custom images. Rich media ads – Interactive elements and moving images that draw the eye. Video ads – You can use the network to display your ads next to youtube videos. This heavily depends on your business type and where your customers can be found. Selecting the right keywords to advertise on as well as the keywords to choose to block is important. To make your campaigns as profitable as possible, you need to know how to analyze your data. What keywords have been working well for you? Is your landing page mobile friendly? How well optimized is your sales funnel? What time of day seems to be working the best? Being able to interpret your data and make educated decisions based on statistical significance is a skill in its own right. A user might have expressed interest in your product or service before. They will be marked with a cookie, and as they browse around the internet, your ads will be shown to them on those websites. This is a common and very effective strategy for gaining new customers. Re-marketing is always a good idea because these people are already generally familiar with your business or product. There is a lot to learn on the subject of Search Engine Marketing that is out of the scope of this blog post. We hope this article can give you some ideas to run with that you could apply to your business. Seeking out and learning about SEM on various groups and online forums could be a way to grow your knowledge base.